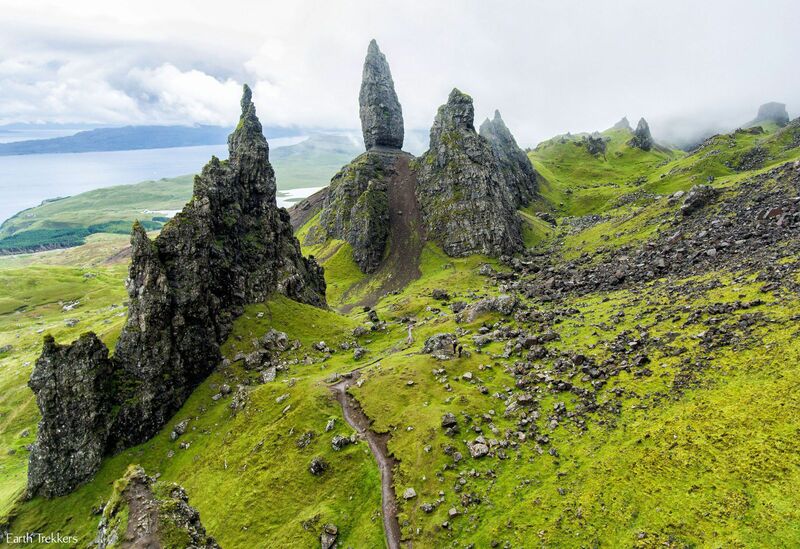 The Isle of Skye is one of Scotland’s most popular destinations. 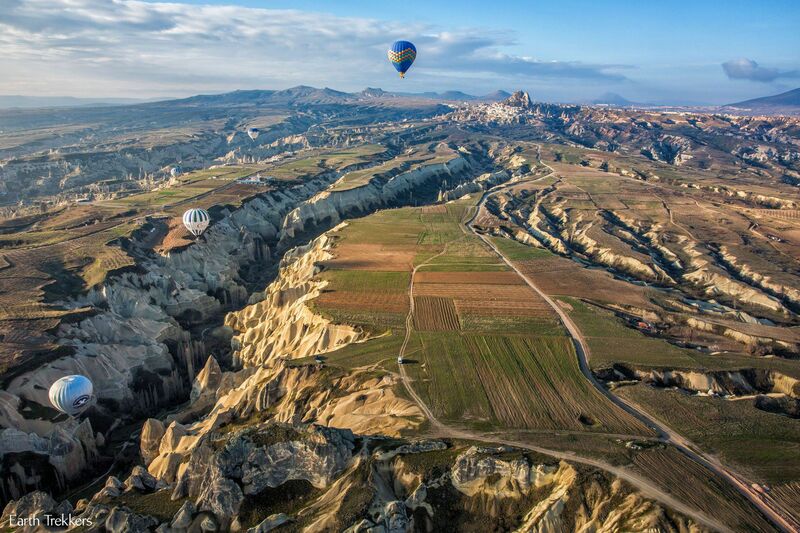 It may seem like a long drive to get there, but by adding in scenic pitstops along the way, you can turn the journey into a sightseeing adventure. In fact, the journey through Scotland is almost as good as the destination! 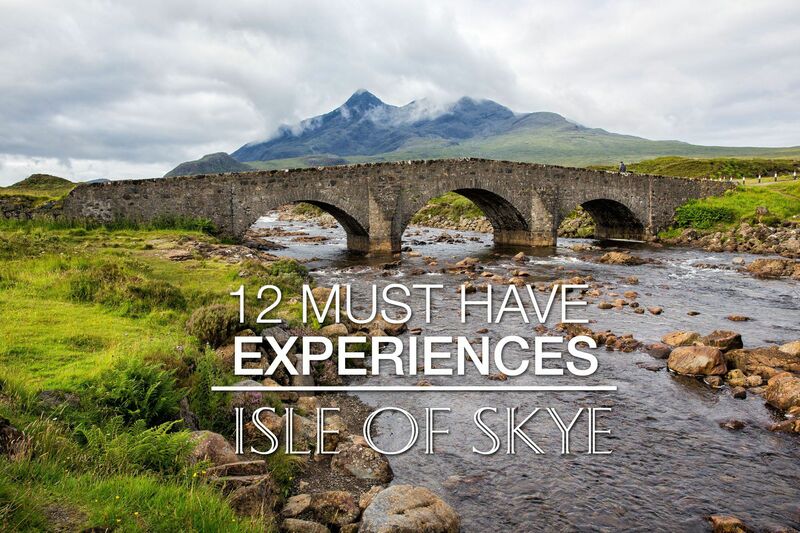 Keep reading to learn how to make the most out of driving to the Isle of Skye. 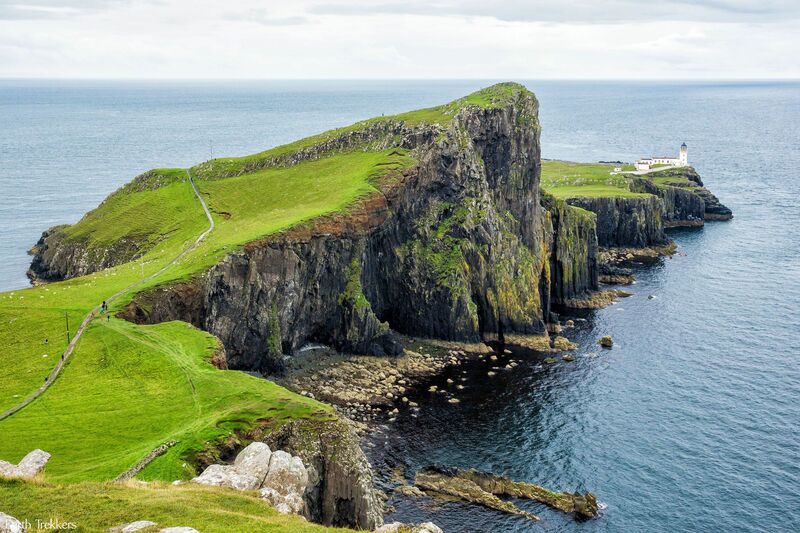 Incredible scenery, old castles, whisky distilleries, hiking trails, and Scottish pubs are just a few of the sights and places you can visit on a drive to the Isle of Skye. 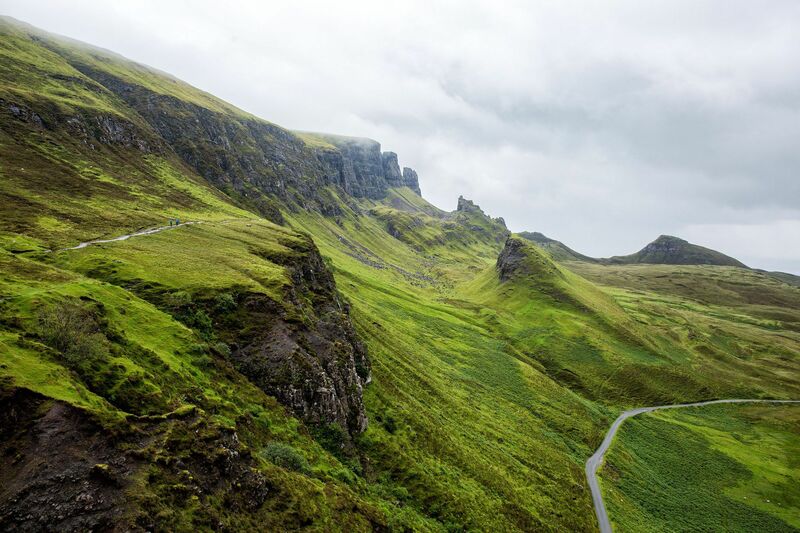 We recommend driving two different routes to and from the Isle of Skye. The “northern” route takes drivers through Pitlochry, past Loch Ness, past Eilean Donan Castle, and across the Skye Bridge onto the Isle of Skye. 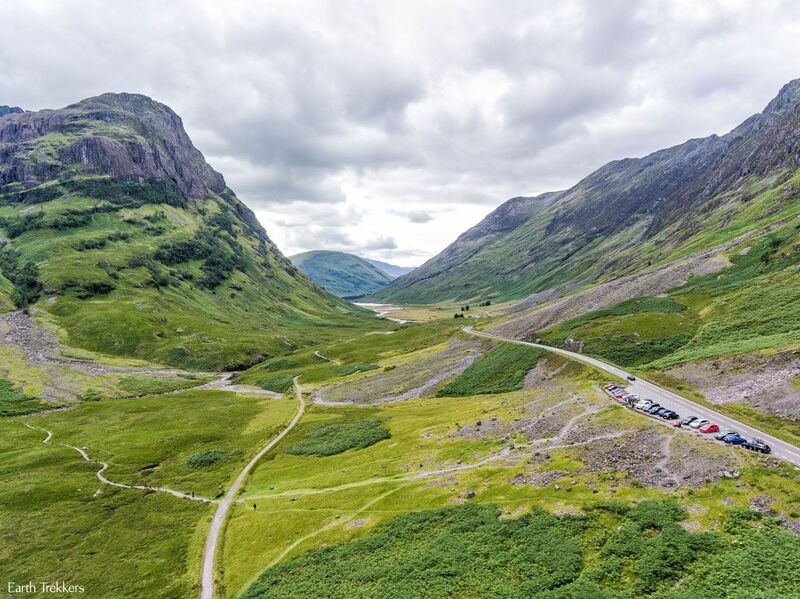 Our “southern” route involves taking the car ferry to Mallaig, visiting the Glenfinnan Viaduct, taking the scenic route through beautiful Glencoe Valley, and driving alongside Loch Lomond. 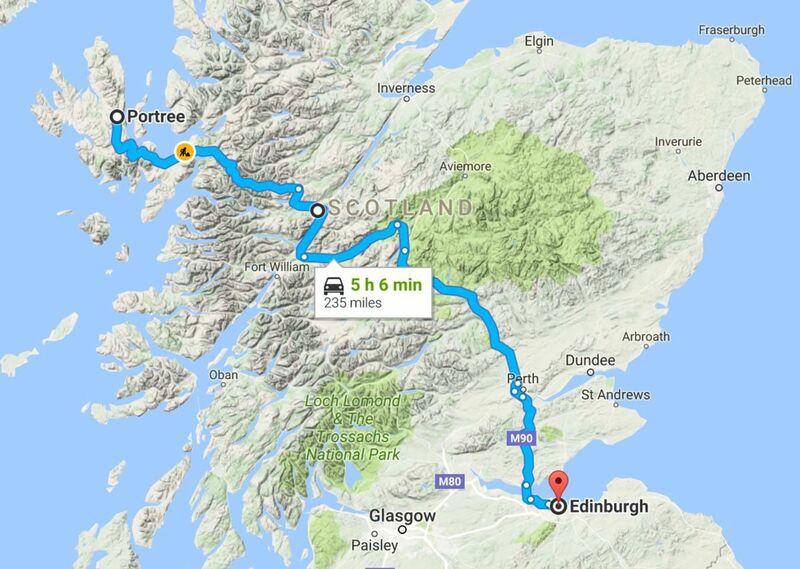 The drive from Edinburgh to Portree (without making any stops along the way). If you were to drive from Edinburgh directly to the Isle of Skye, it would take between five and six hours with 235 miles of driving. 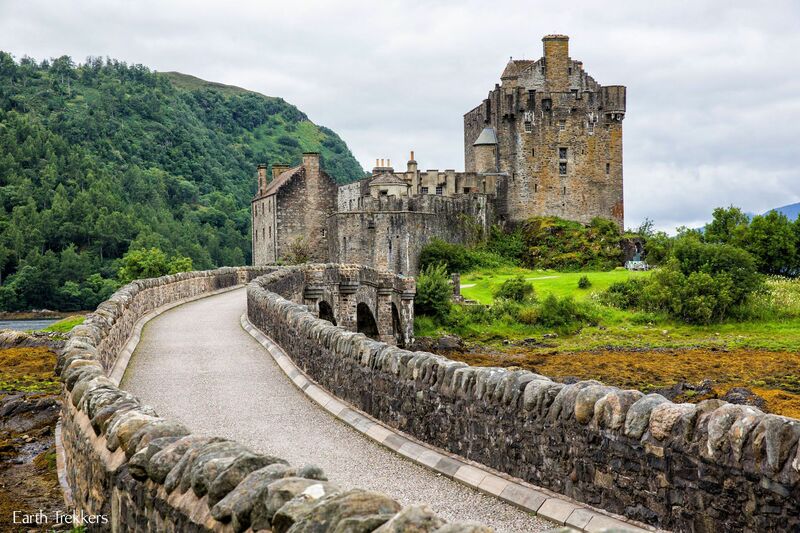 If you want to turn this drive into a scenic road trip, adding places like Edradour Distillery and Eilean Donan Castle, this drive will take one full day. Adding in Loch Ness adds an additional 50 miles to the drive for a total of 285 miles. You can visit all three places in one day, but you will need to get an early start and you won’t be able to stay long at Loch Ness or Edradour Distillery. Plan on starting the drive at 8 am so you arrive at Edradour Distillery by 10 am, opening time. From Edinburgh, head north on M90 towards Perth and Pitlochry. This first part of the drive will be one of the few times that you will drive on a divided highway (dual carriageway). 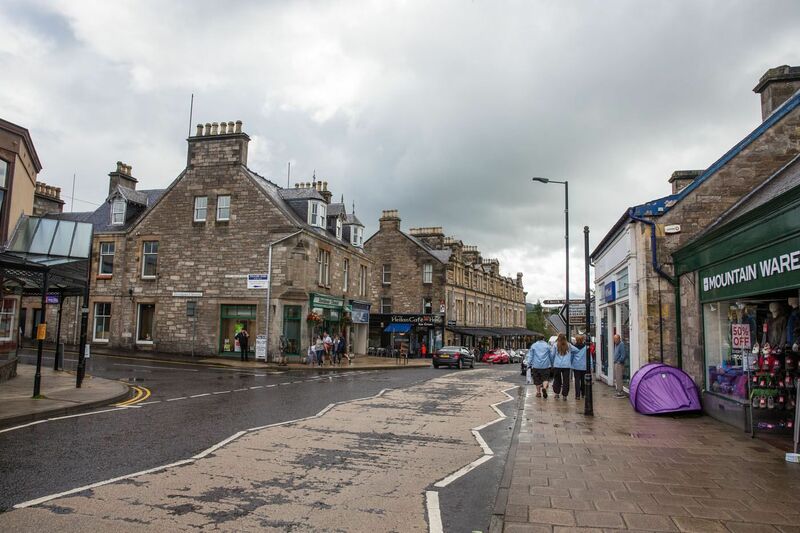 The small town of Pitlochry is your first chance to get out and stretch your legs. 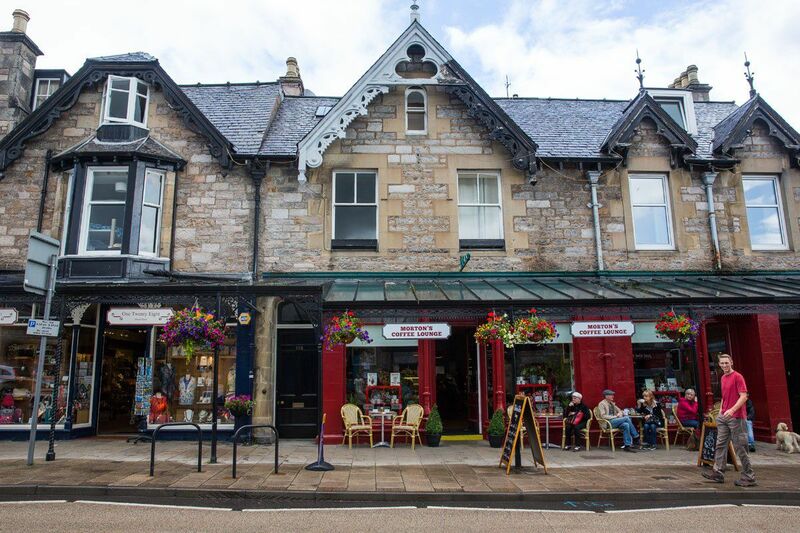 Why visit Pitlochry? This quaint town is home to Edradour, Scotland’s smallest whisky distillery. Guided tours and whisky tastings are offered Monday through Saturday (closed Sundays). Or, just visit their shop and bring home some whisky as a souvenir. Tours cost £10 per person and last one hour. Children under 12 years old are not permitted on the site. If you are doing this drive with kids, you might want to consider skipping the distillery. 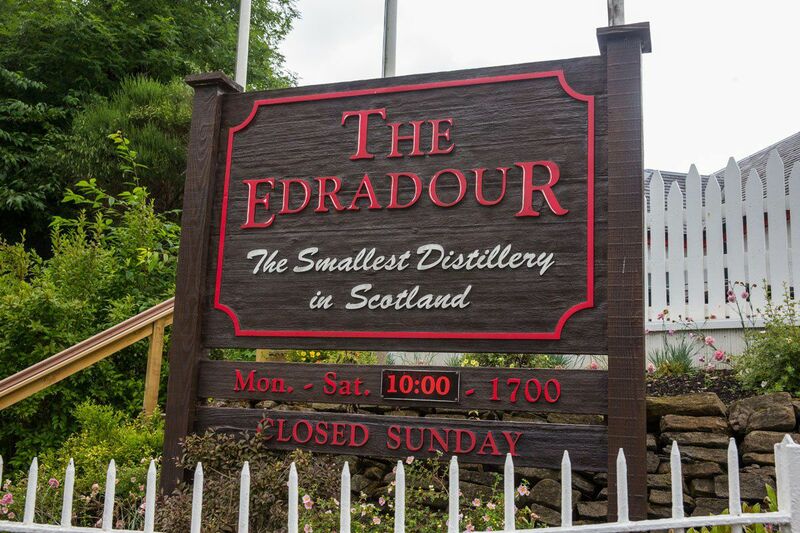 Edradour Distillery is open to visitors from late-March to late-October, with limited hours during the winter months. Visit their website for full details. 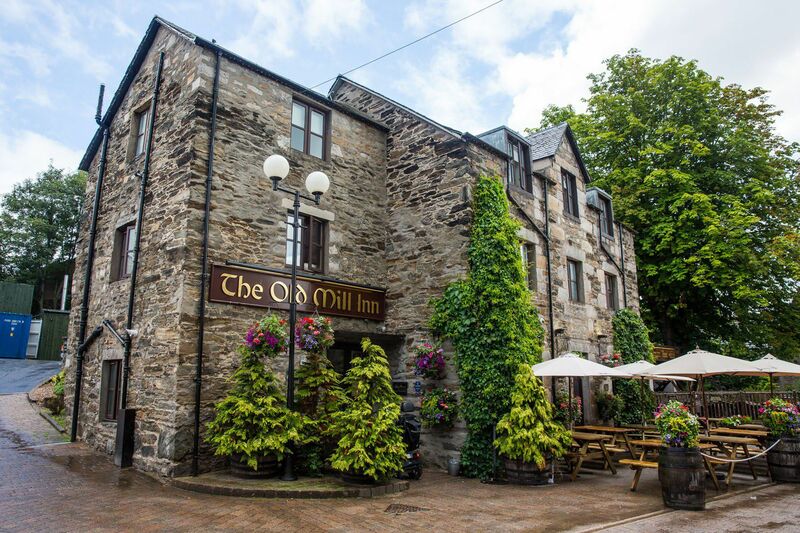 Have an early lunch in Pitlochry or continue on your way (we have another lunch recommendation near Loch Ness). 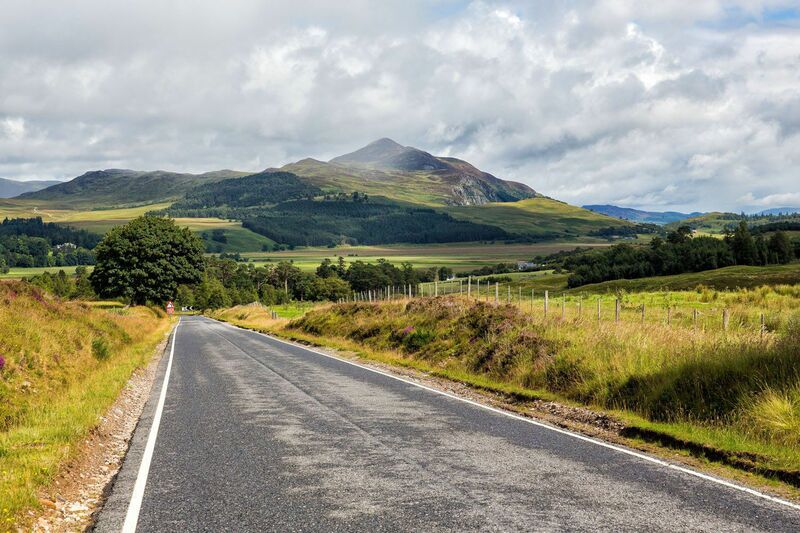 Continue your journey northwest from Pitlochry, on A9. Now you are driving along the southern border of the Cairngorms. The rolling hills are becoming mountains, the roads are getting narrower, and your cell service is probably starting to fade. If you are renting a car, it’s a great idea to get a car with the built in navigational system. 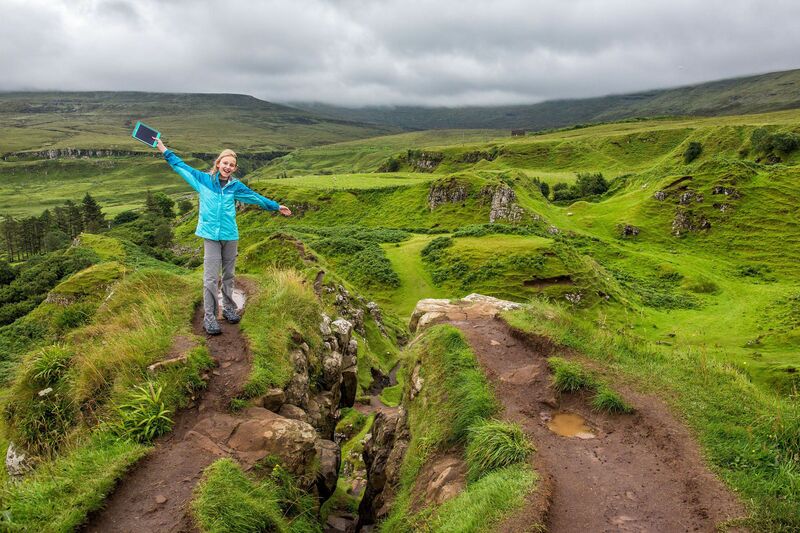 Once you are in the Highlands and on the Isle of Skye, it can be very difficult to get a good signal on your cellphone. At Dalwhinnie, take A889 to Laggan, then A86 to Spean Bridge. The road name changes again to A82, taking you to Invergarry. Now you have a choice to make. 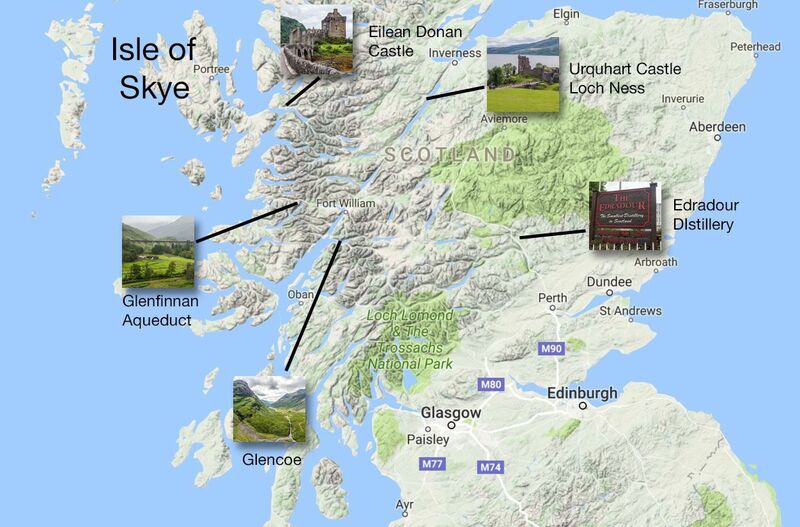 Continue directly to the Isle of Skye or take a detour to Loch Ness and Urquhart Castle. To get to Urquhart Castle, the detour takes an hour and twenty minutes with 50 miles of driving (round trip). For us, the detour to Loch Ness was worth it. Seeing Urquhart Castle against the backdrop of one of Scotland’s most famous lochs was wonderful. And of course, if you get lucky, maybe you will spot Nessie, the Loch Ness monster. For a late lunch, consider dining at the Glenmoriston Arms Hotel, located in Invermoriston. Stop here on your way to Urquhart Castle. Urquhart Castle is open daily. In order to tour the castle, you have to pay an entrance fee. Allow approximately one hour for a visit to the castle, although speed demons can see it in a half an hour or less. 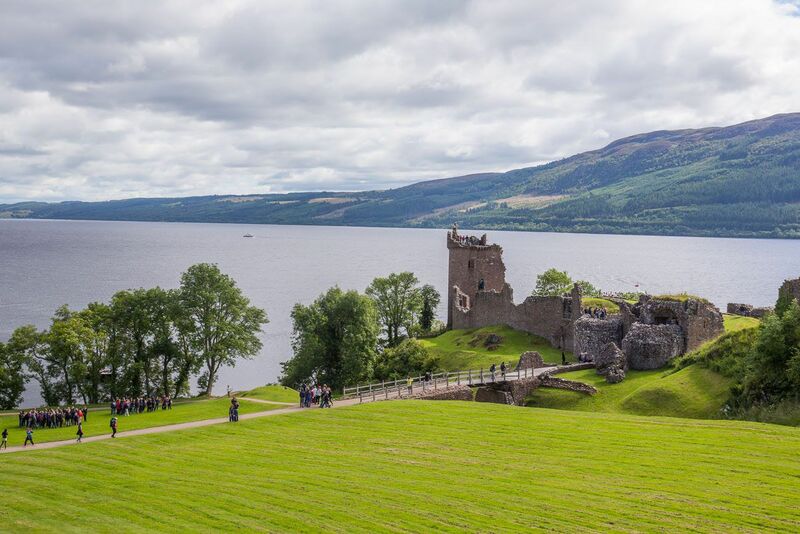 For full details on hours of operation and ticket prices, visit the Urquhart Castle website. 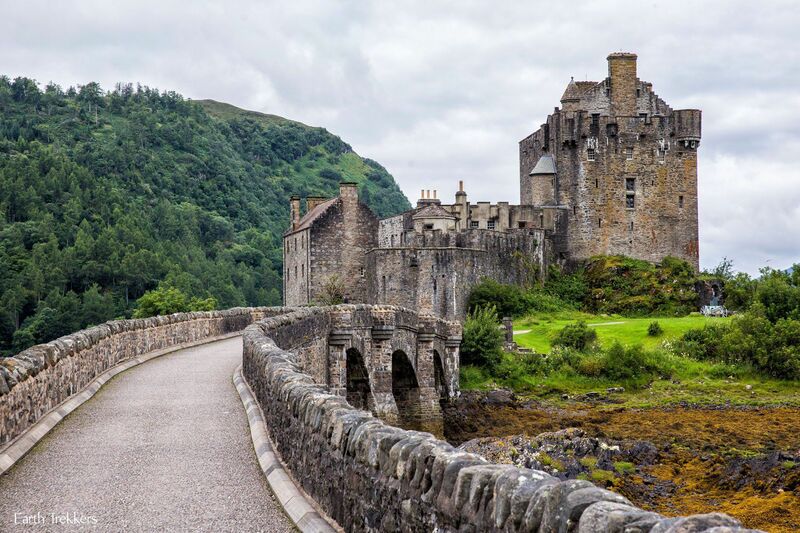 Read More: Loch Ness and Urquhart Castle…Are They Worth Visiting? 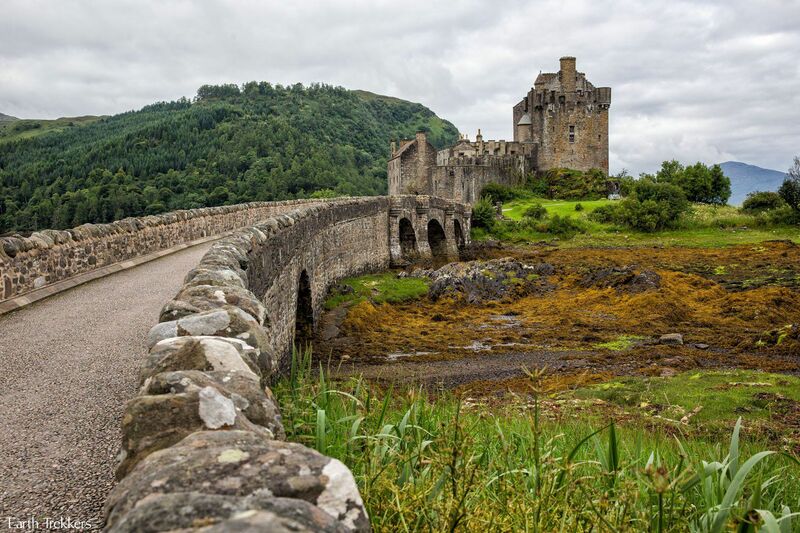 From Invergarry, you are just one hour away from the highlight of the day, Eilean Donan Castle. This castle gets our vote for coolest castle in Scotland. You can simply see it from land, for free, or pay the entrance fee to enter the castle. The castle is open from 9 am to 6 pm (last admission at 5 pm) during the summer months, with shorter hours during other times of the year. Tickets are £7.50 for adults, £20 for families.Visit the Eilean Donan website for full details. 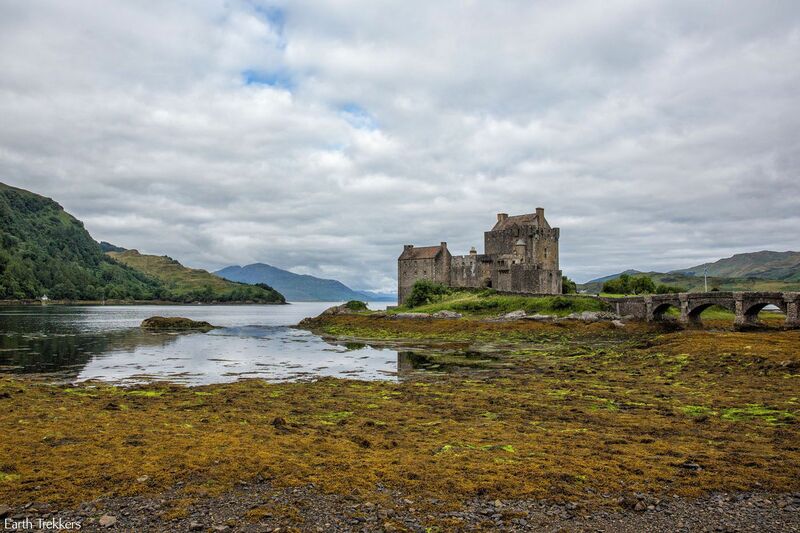 From Eilean Donan Castle, you are just 15 minutes away from the Skye Bridge, the gateway to the Isle of Skye. 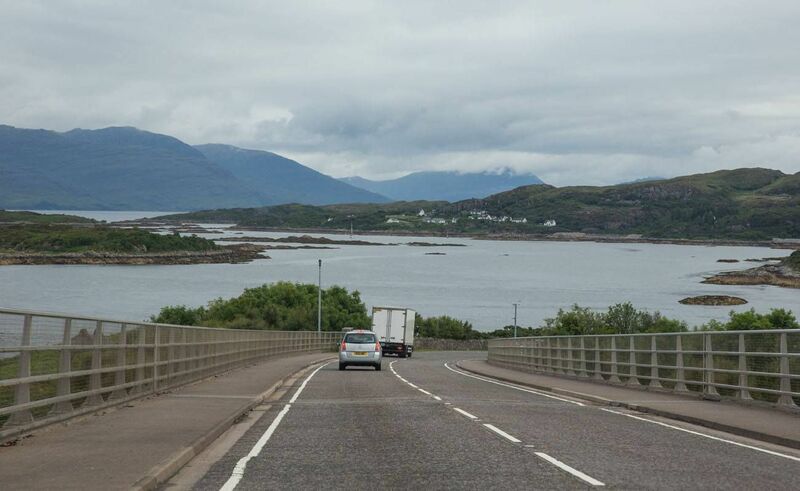 Continue on A87 through Kyle of Lochalsh and cross the Skye Bridge (there is no toll to cross the bridge). Welcome to the Isle of Skye!! Continue on to your accommodation. Most people stay in Portree, just under an hour driving away. 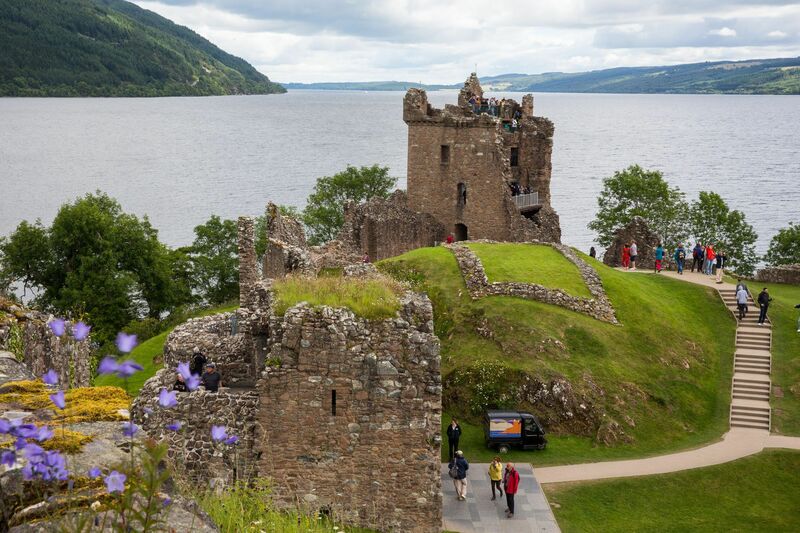 On this itinerary, you can visit everything, but you can’t linger a long time at Urquhart Castle. We only spent about 45 minutes and for us it was more than enough time. Also, if you don’t plan on entering Eilean Donan Castle and only seeing it from the outside, there’s less of a rush for leaving Urquhart Castle and Loch Ness to get here before the last admission at 5 pm. This route requires a ferry crossing from the Isle of Skye to the mainland. This route takes drivers past the Glenfinnan Viaduct, through gorgeous Glencoe Valley, along Loch Lomond, and on to Glasgow or Edinburgh. From Portree, it takes between an hour to an hour and a half to drive to Armadale. From here, you will take the ferry to Mallaig, on the mainland. It is highly recommended that you book your ferry tickets at least several days in advance, especially during the busy summer months. The ferry is operated by Caledonian MacBrayne. The journey takes 40 minutes and ferries run all day. 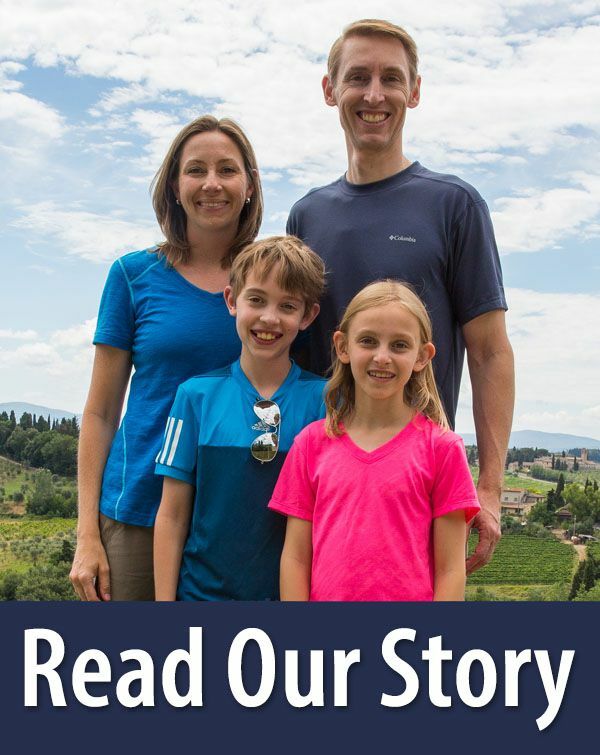 For a family of four with one car, a one-way ticket costs £18.40. Tickets can be purchased directly on the Caledonian MacBrayne website. From Mallaig, take A830 to the Glenfinnan Viaduct. Park in the very small car park (during peak visiting hours it can be nearly impossible to find a spot here!). A short walk uphill takes you to a viewpoint over the Glenfinnan Viaduct. For Harry Potter fans, this is well worth it. 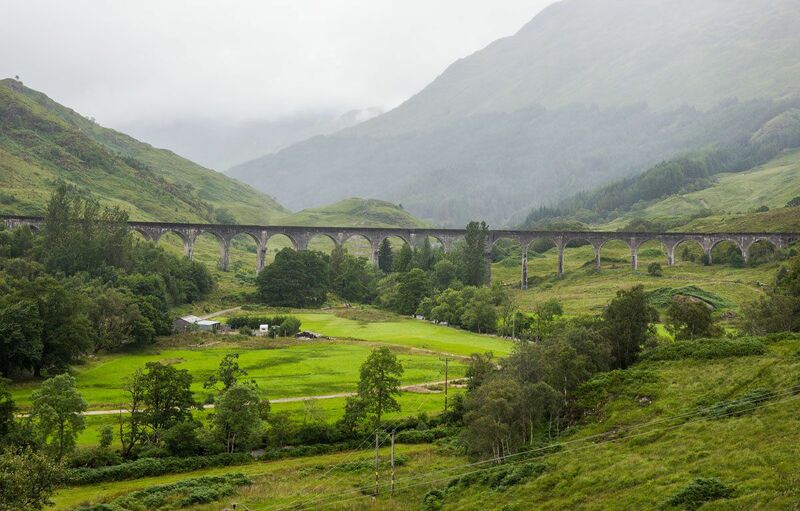 The Glenfinnan Viaduct was used in the filming of the Hogwart’s Express. We were here under less than ideal weather conditions. The Viaduct looks rather dreary in rainy weather. Hopefully, you will have better luck, but it is Scotland, and wee bit of rain here and there is expected. 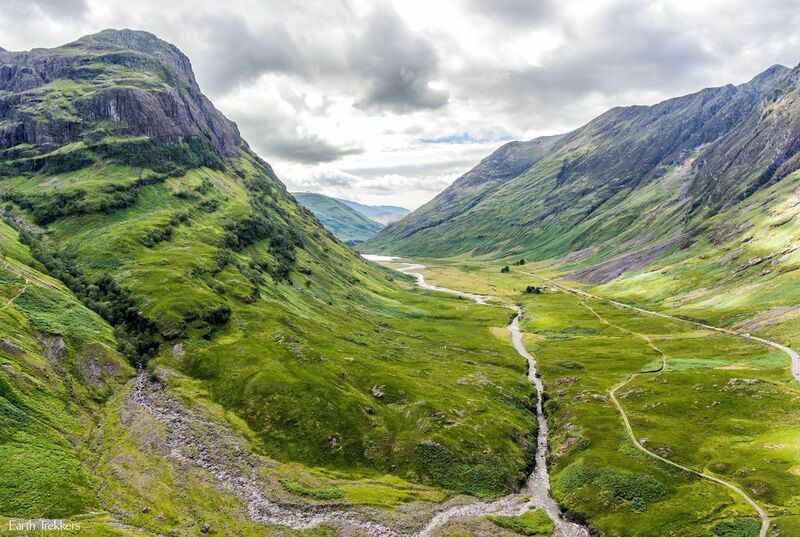 Now it is time to visit the gorgeous Glencoe Valley. This place blew us away! 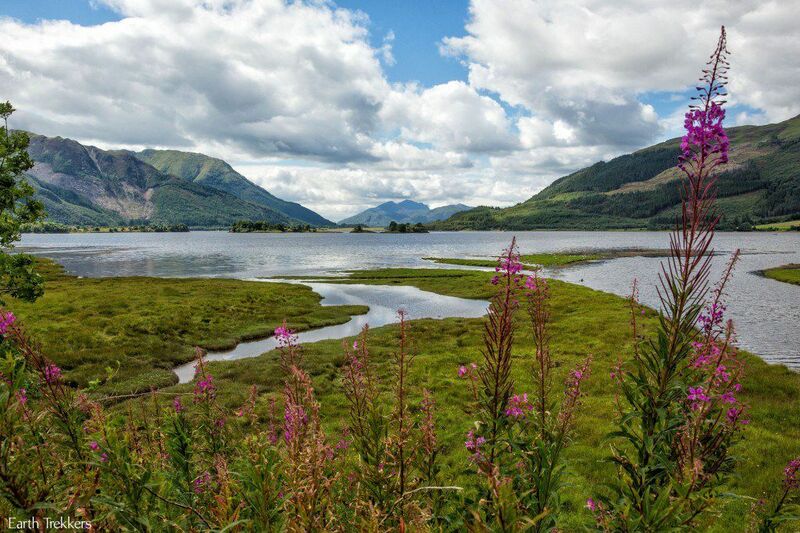 From the Glenfinnan Viaduct, continue on to Fort William and then drive south on A82. From Glencoe, continue south on A82 towards Glasgow. This drive takes you along Loch Lomond. It is another scenic spot in Scotland, although after what you have already seen on the Isle of Skye, in Glencoe, and near Kyle of Lochalsh, Loch Lomond may not seem that thrilling. Even so, it is a very nice drive. 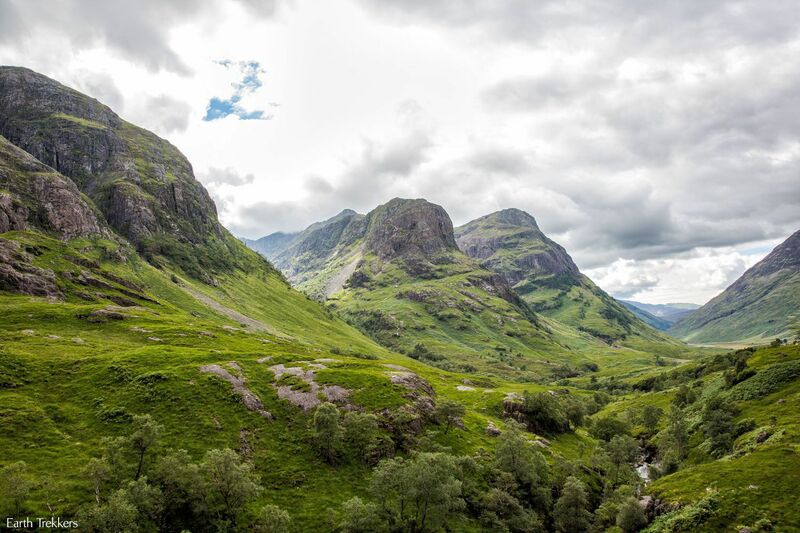 From Glencoe, it takes about two hours to reach Glasgow. If you are continuing on to Edinburgh, it’s about one more hour of driving. There is an earlier ferry that leaves Armadale at 8:40 am. If you want to spend a full afternoon in Glencoe, catch this earlier ferry. 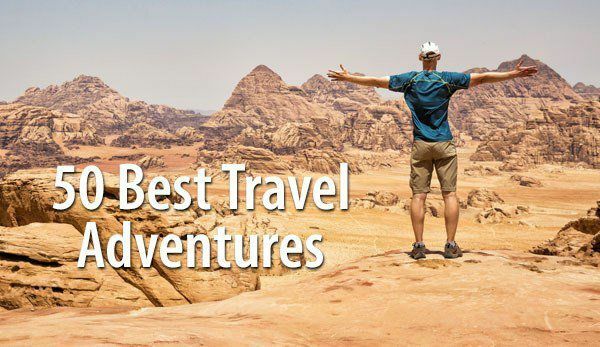 Here are some recommended side trips. 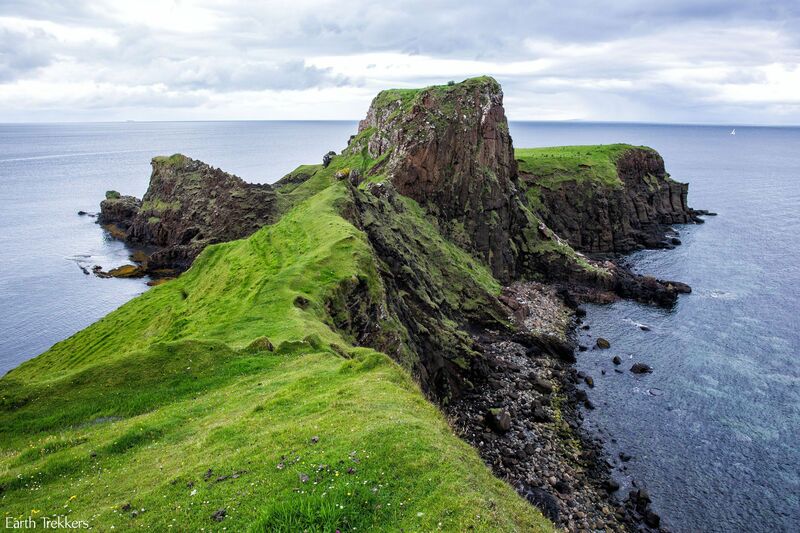 Whisky lovers may want to add two days into this itinerary to drive the whisky trail. 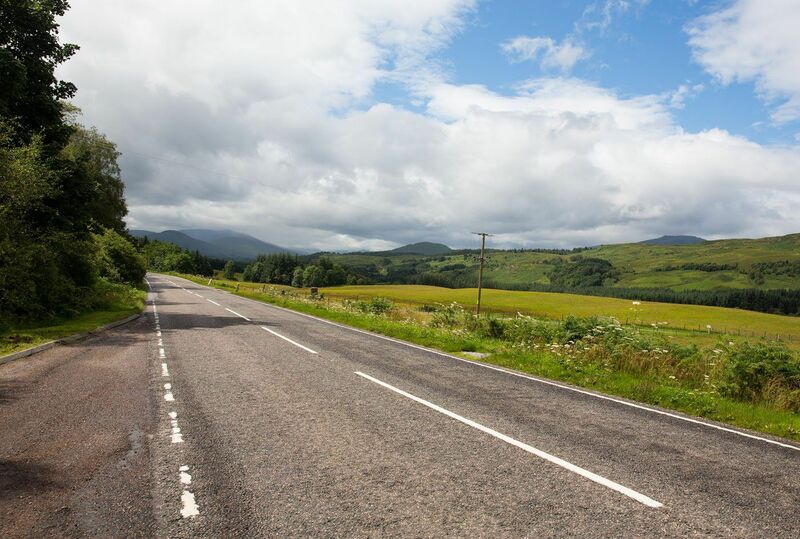 On our northern route, from Dalwhinnie, continue north on A9 and then A89 to Glenlivet. You can spend several days here touring the whisky distilleries. 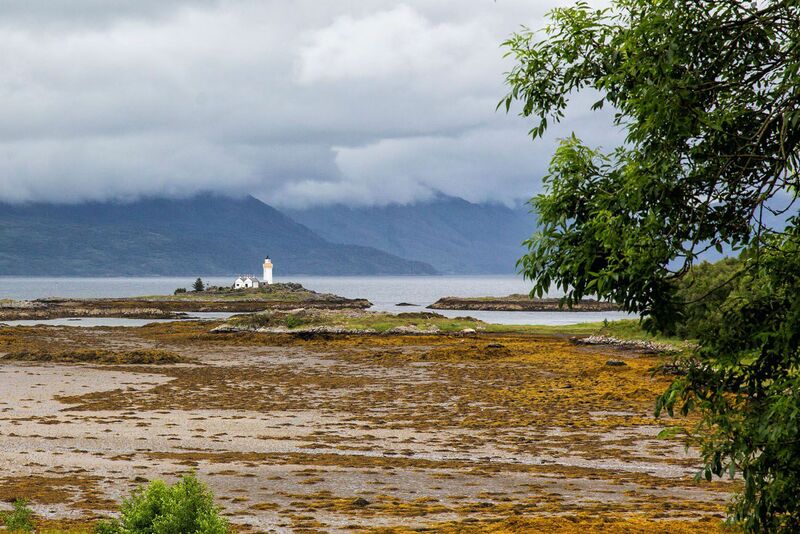 From Glencoe, head south to Oban and take the ferry over to the Isle of Mull. If you have a valid license in your home country, you can drive in Scotland. In the UK, they drive on the left. Roundabouts are very common and can be intimidating to first time drivers in the UK, especially if you are accustomed to driving on the right. It takes a little getting used to! In rural areas, it is not uncommon for sheep and other livestock to cross the roads. In the most remote areas, including much of the Isle of Skye, you will drive on singletrack roads. These one-lane roads are only wide enough for one car. There are frequent passing zones, areas of the road that have been widened for two cars to pass. At times, this may require that you put your car in reverse, backing into one of these spots, to let oncoming traffic pass. Slower drivers are expected to pull over into these passing zones in order to let faster traffic pass them. 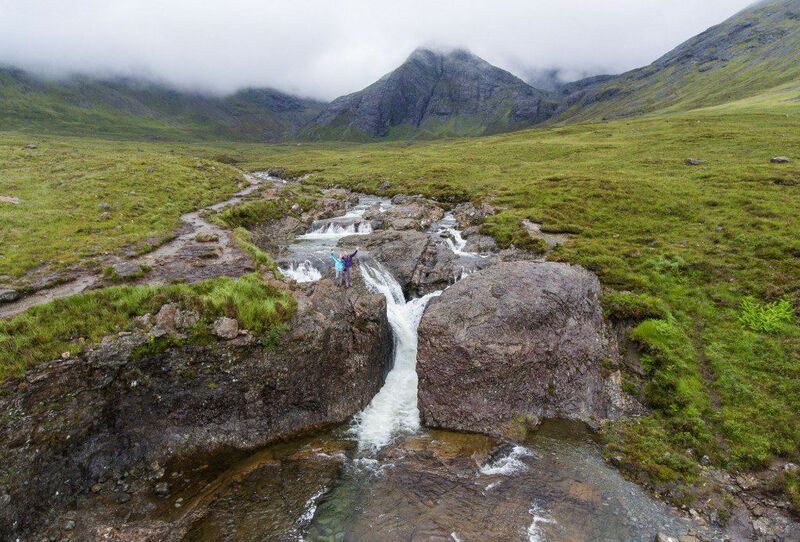 Do you have plans to drive to the Isle of Skye? If you have any questions, comment below! The route information is very clear. 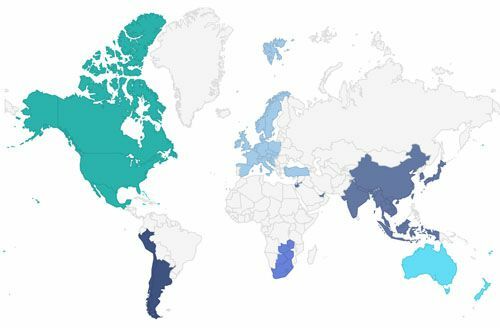 Even we are planning to visit these places this july end. But need suggestions/ ideas to travel with a 1.5 year old. Since me and my husband do not know driving we are thinking of hiring a private car with driver to follow this route. Any recommendations on that? Any suggestions on the accomodation in Portree or anywhere in Isle Of Skye? 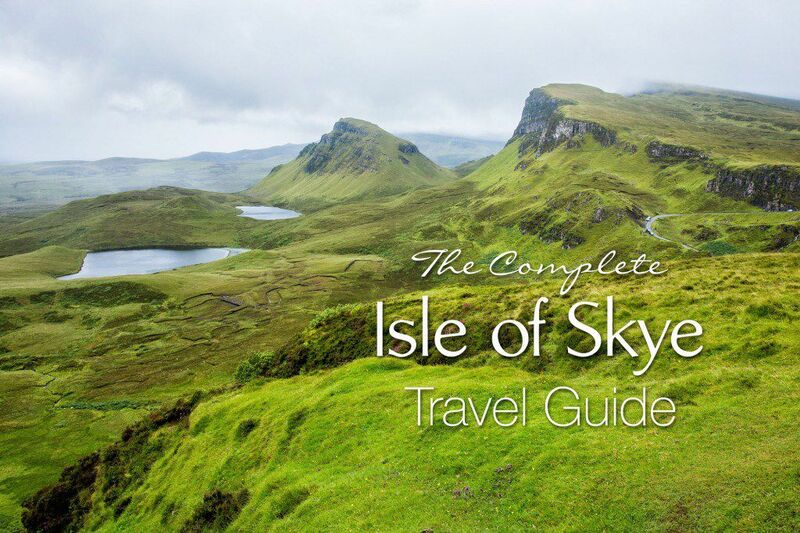 We just have one day in our itinerary for Isle Of Skye. Looks like all hotels are already full. Just curious- Is there any reason why these routes should not be reversed? We would like to start our trip in Edinburgh stop in sterling along the way to Oban for a night, then up to isle of Skye. We’d do the reverse on the way home-portree to pitlochry and on to Edinburg. 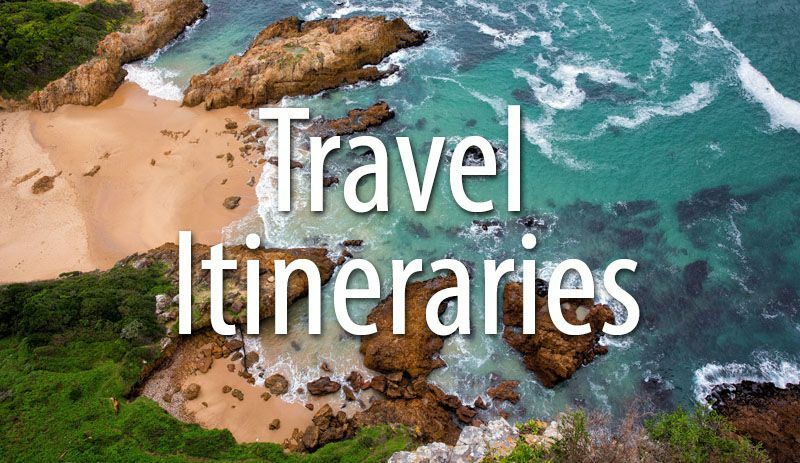 Thinking 2 nights Edinburg, 1 night Oban, 3 nights isle of Skye, one night in pitlochry. 7 nights total. Think that’s possible? That’s very exciting! We were in Scotland at the very end of July. Have fun! We are planning a trip to scotland next year and I was curious how you went about booking your accommodations? 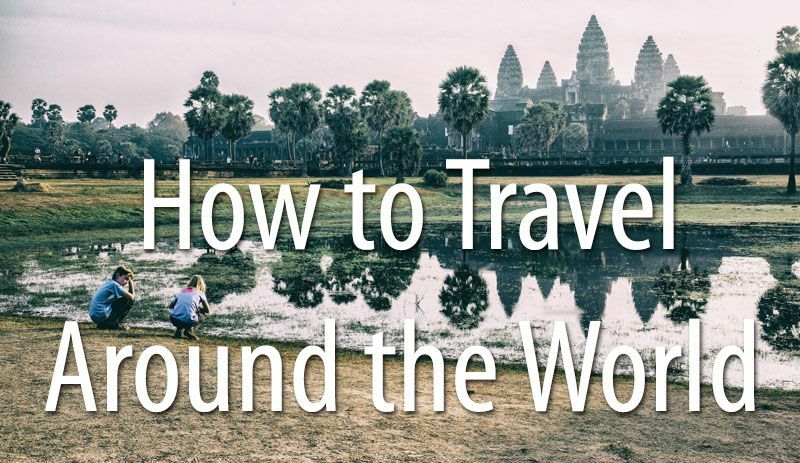 Hotels, B&B’s, AIRbnb, etc? Hello! I’m trying to book a ferry from to Armadale to Mallaig. However, at this link, those two cities are not given as choices (for me to reserve a ticket in-advance for my vehicle) in the dropdown box at this link. 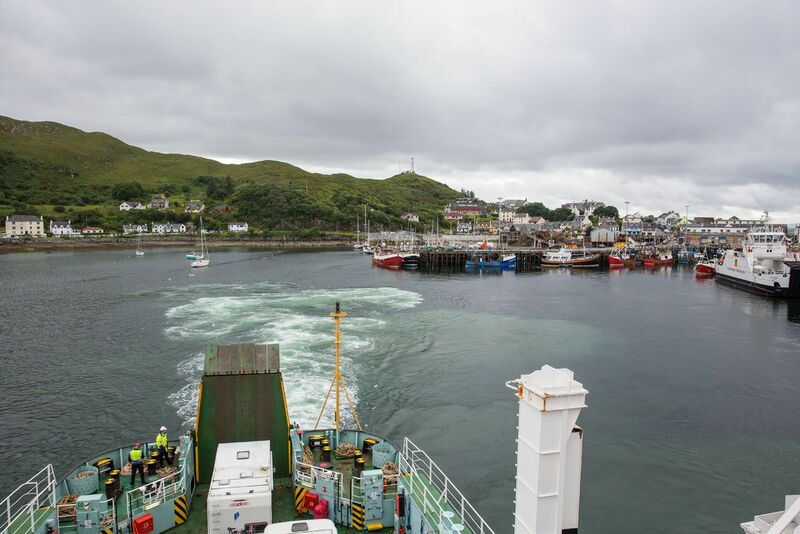 Could you direct me on what to choose (as that it is no Armadale and Mallaig, as that they are not choices) to book the ferry from for your suggested southern route? Aw, I see. You have to select ‘Skye’ and then in another dropdown menu it gives you the choice for Armdale to Mallaig. I want to reach out and say thank you so much! 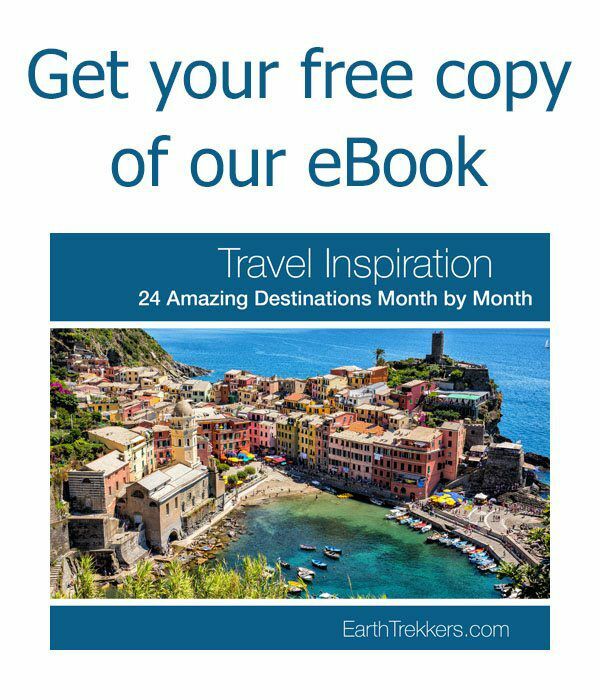 You might not know it but I used your website to help plan a trip to London/Scotland/Paris and these posts were so helpful. The Isle of Skye was especially difficult to plan until I found your website and I felt so much more confident after consulting your website. Even places like Arthur’s Seat were made so much easier by following your mapped out routes. I know from experience that blogging can sometimes feel like shouting into the void but your posts hit their exact target audience and made sure I had a perfect trip. Thank you again for putting this info out there for people like me. How many days/nights do you recommend for the above driving itinerary at a leisurely pace with plenty of photo stops among others? 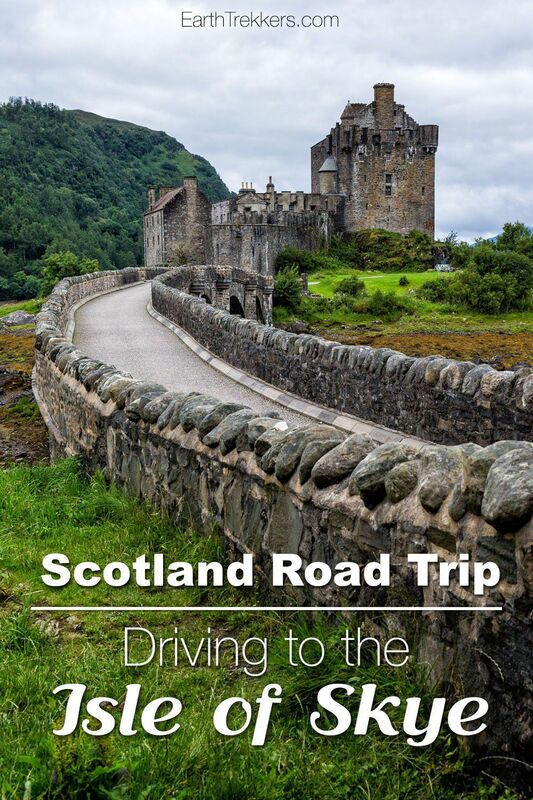 One day between Edinburgh and the Isle of Skye or Glasgow and the Isle of Skye is enough time for the stops (and lots of photos) in this driving itinerary. Thank you! This might seem stupid and unnecessary, but do you mean just the one (long?) day driving from Edinburgh to Skye? 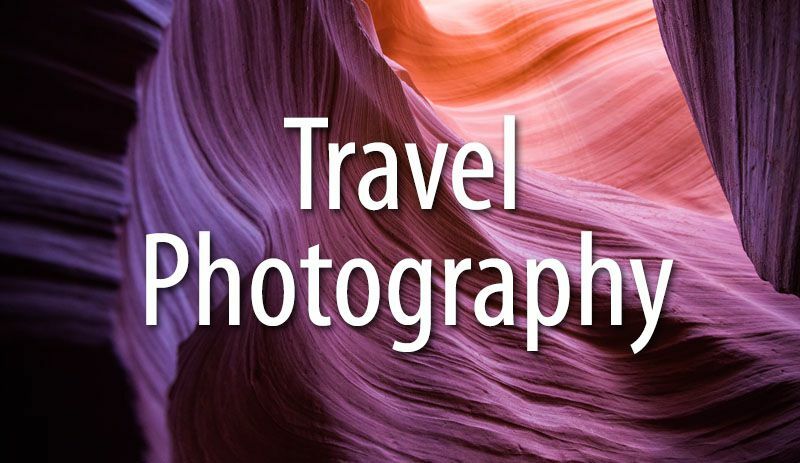 That seems like it wouldn’t leave much time to enjoy the sights and take photos? Google shows about 6.5 hours drive (258 miles) for this route. Or am I missing something? Just wanted to let you know that I just updated this post with driving directions and timelines. Cheers! I think I’m going to do this by adding an overnight stopover enroute somewhere so that we have more time and can split the driving over 2 days. It was very hard for us at first, but the roundabouts were the most difficult to understand. After the 2nd day it was no problem. I would recommend getting a car with a GPS because it kind of shows you what lane you’re supposed to be in and when to exit. It was a life saver for us and we were there with all of the snow last week. It was beautiful! thank you so much for your kind, supportive and honest answer. You gave me courage. The last sentance about I should take it like a learning new travelling skill is so encuraging. I won’t forget your kind words.